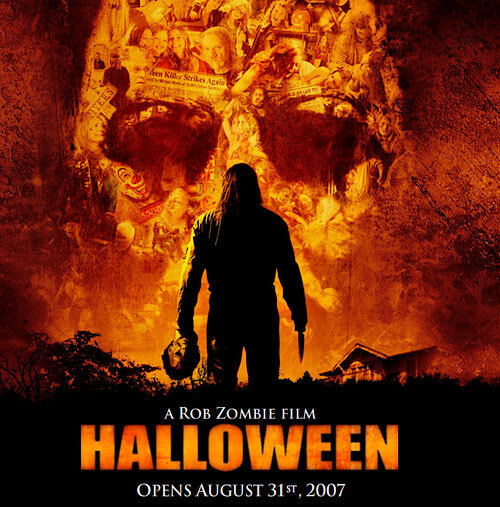 I’ve often felt that Rob Zombie’s remake of “Halloween” is the cream of the crop when it comes to horror remakes. He was both faithful to the original while giving the material his own innovative twist. Today we have our Twitter reviewer Tim Schilling with his take on the misunderstood remake. Will he be a fan of this remake or feel as though this is one film that should have been left alone? 0:02 Wait that’s a lie. I saw this again recently. The beginning makes me so sad. 0:05 This is the last movie I would think the kid from Spy Kids would be in. 0:07 One thing I LOVE about Zombie’s version is that he shows Michael as a kid, and why he turns into a killer. 0:12 For only making like 4 movies, Zombie sure is pretty stylish. 0:19 Good, kinda glad you’re dead Robbie. 0:27 Hi, I’m Michael Myers! 0:29 I totally forgot the uncle from Spy Kids was in this movie! 0:30 Black is a color. Shut up dr. Loomis. 0:42 Dr. Loomis is a drama queen. 0:49 Not sure how I feel about Michael killing the Spy Kids guy, if he didn’t it would show he still had a nice side. 0:49 But since he did it shows he’s a crazy lunatic who kills people who even helped him. 0:53 Obligatory black guy death. 1:07 Sid Haig runs a graveyard in this too? What if this is in the same world as NOTLD 3D? HAH. 1:08 I wanna party in a haunted house. 1:17 Zombie’s Halloween mask > Carpenter’s Halloween mask. 1:27 Danielle Harris is pretty damn hot. 1:46 Gah I hate the eye gouge thing. It’s painful to even watch. Complain all you want about remakes, but Zombie makes a great looking movie no matter what. Besides the movie looking awesome, you can’t really compare it to the original. The movies are completely different and each does their own thing that makes BOTH of the #Halloween movies good. I think Zombie’s will be remembered as much as the original eventually.